Lemon Blueberry Scones make a delicious treat for breakfast, brunch, or mid-afternoon snack. 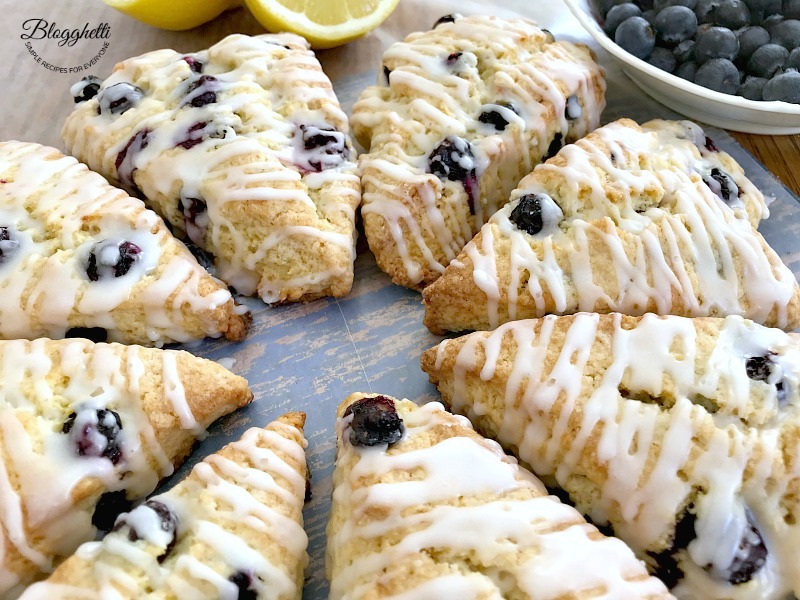 Bursting with fresh blueberries, these moist scones also have a wonderful lemon glaze. It’s day three of #SpringSweetsWeek and I’m drooling over all of the delicious recipes we’re sharing with you. What are some of your favorties so far? 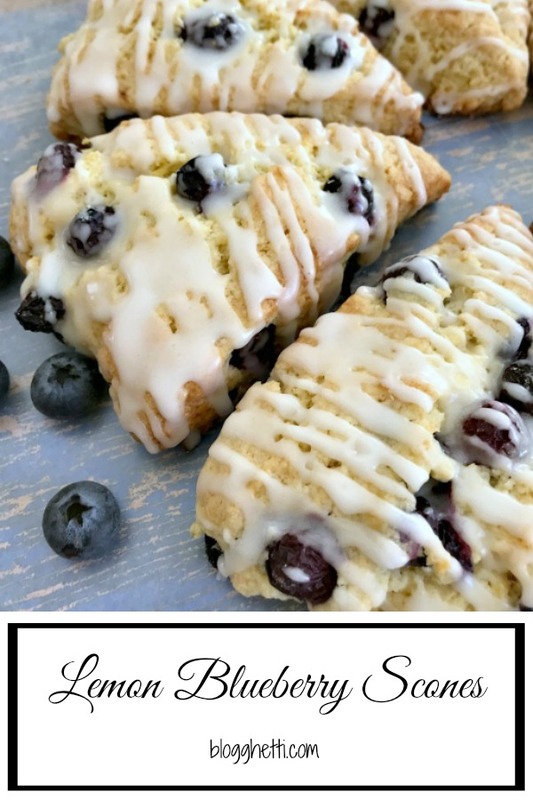 Today, I’m sharing my most favorite recipe for Lemon Blueberry Scones. 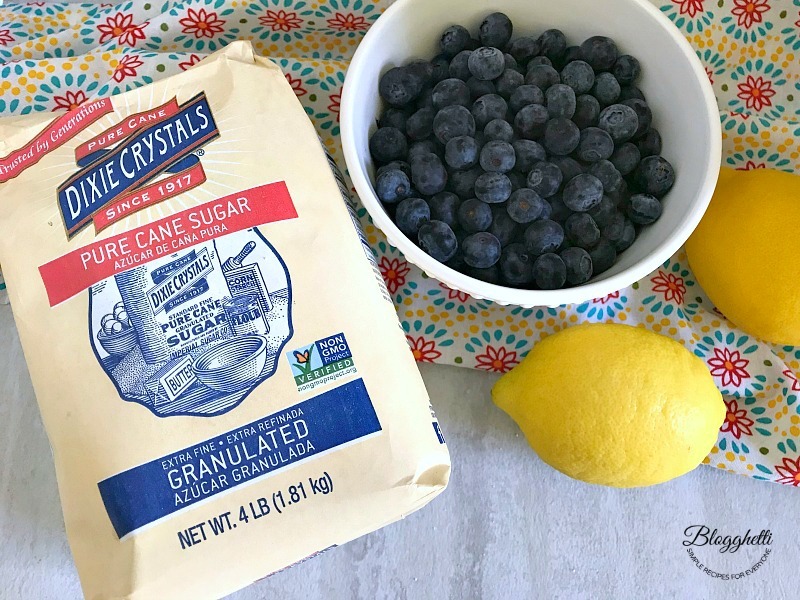 I’ve shared a few other lemon blueberry baked goodies with you, but not sure how I haven’t shared this one! 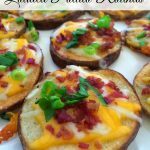 It’s perfect for breakfast with coffee, great for brunch gatherings, or simply an afternoon snack. Scones are a biscuit-like cake made from flour, fat, and milk and sometimes having added fruit. They can be sweet or savory. I’m thinking of trying a ham and cheddar scone next. Yum! 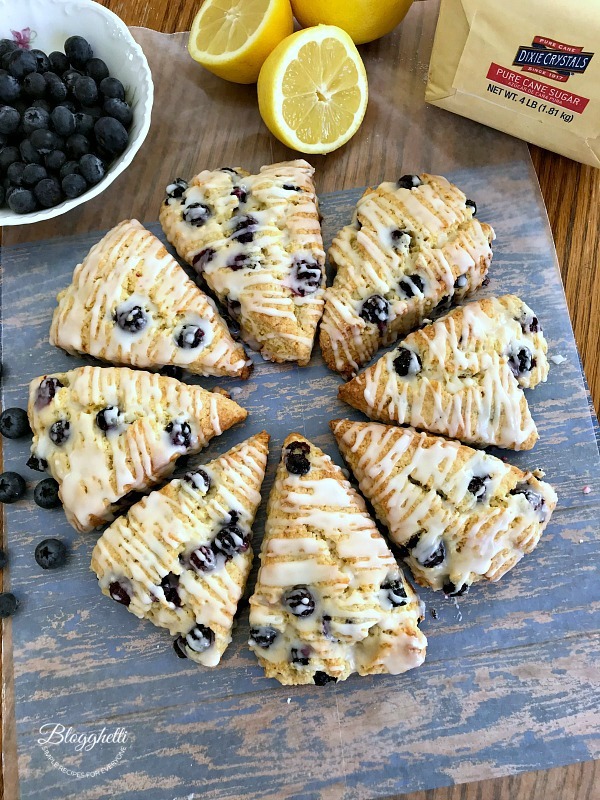 Lemon Blueberry Scones are easy to make, and I’ve got a few tips to make it even easier for you. Starting with good ingredients is at the top of my list. Dixie Crystals Sugar is one of our amazing sponsors for #SpringSweetsWeek and I couldn’t be happier. It’s the only sugar I use for whenever recipes call for sugar, brown sugar, or powdered sugar. 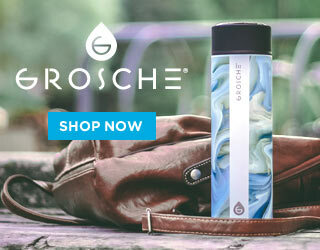 A quality product with over 100 years in the making, is tops in my book. 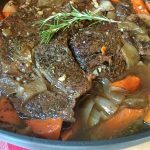 Check out some of their recipes for your Easter menu. 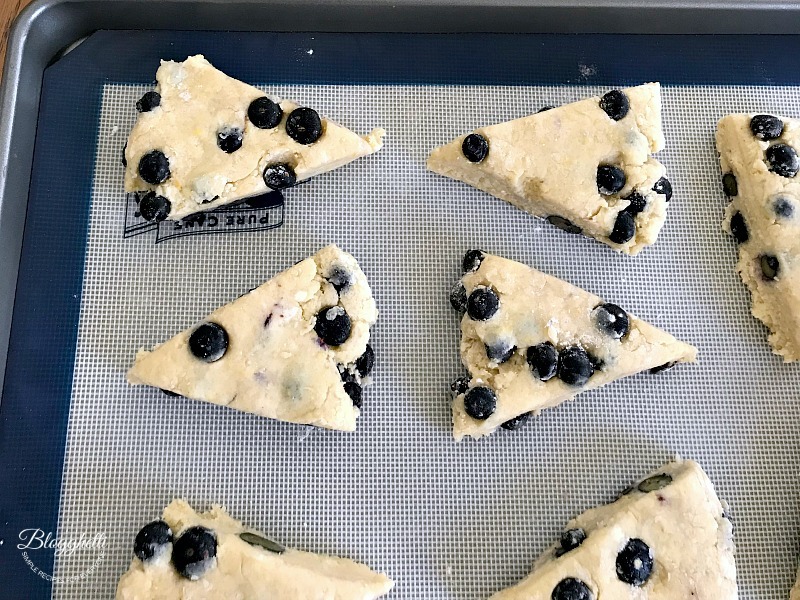 You can use either fresh or frozen blueberries for these scones. If you’re using frozen, be sure thaw the berries out first and drain them on a paper towel. This will help the berries not turn the batter a slight tint of blue. Be sure not to mash berries in the batter. When you’re measuring the flour, use a spoon to lightly fill your measuring cup. You don’t want to scoop the flour in or pack it in the measuring cup. Doing so will give you more flour than you need and also could turn out a dry scone. My favorite tip for making scones (or biscuits, piecrusts) is to freeze the butter, then grate it before you use it in the dry ingredients. Why? 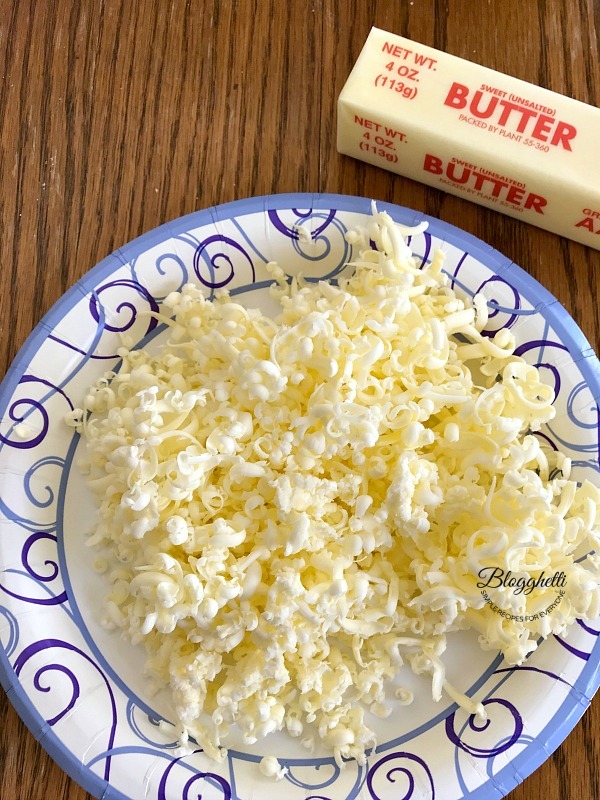 Because when you are making scones you want the butter to remain as cold as possible so it will be easier to cut into your dry ingredients. When mixing the dough, don’t over mix it – doing so will cause the dough to be tough and that will give you a heavy scone. No need for a rolling pin to roll out the scone dough, just lightly pat it out using clean hands. Doesn’t have to be perfect. Preheat oven to 400 degrees. Line a large baking sheet a silicone baking mat or with parchment paper, set aside. In a large bowl, whisk the flour, sugar, baking powder, salt, and lemon zest. 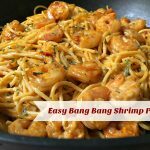 Toss the grated butter into the flour mixture and combine it with a a fork, or your fingers until the mixture resembles large crumbs. Set aside. In a small bowl, whisk the cream, egg, and vanilla together. Drizzle over the flour mixture and then lightly toss the mixture together using a spoon or spatula until everything is just moistened. The dough will be a little sticky, this is okay. Work the dough into a ball with floured hands as best you can and transfer to a floured surface. Press into a neat 8-inch circle and cut into 8 equal wedges with a sharp knife. To make the glaze, mix together the powdered sugar and 2 tablespoons lemon juice together until smooth. Add another Tablespoon of lemon juice to thin out, if need be. Drizzle glaze over scones right before serving. These scones look absolutely perfect! So fluffy and tender, and the lemon-blueberry combo is always a winner! 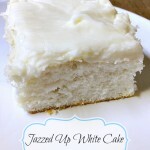 These look amazing and I love your tip to freeze the butter then shred it into the batter. I need to give that a try. The butter tip works every time I have used it…and I make scones a lot! 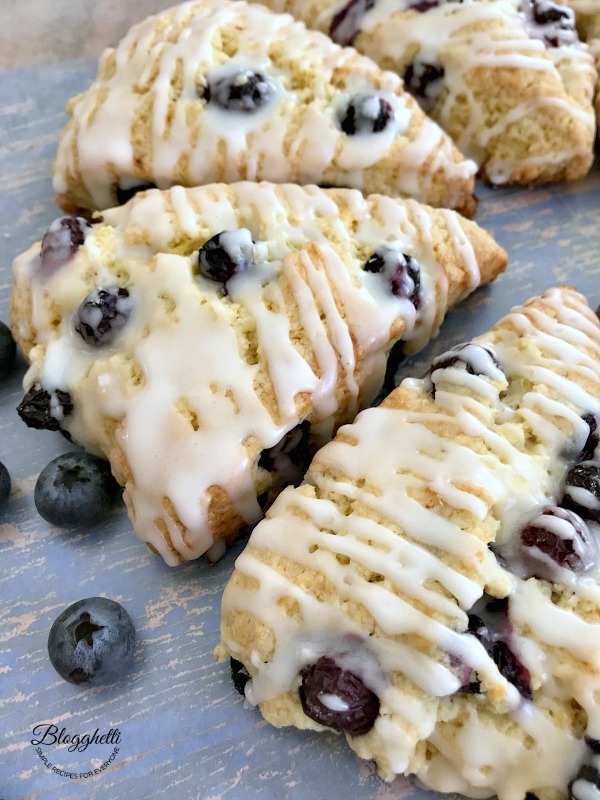 I love a good scone and I love lemon and blueberry together, so these sound great! 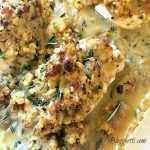 I also love the top about freezing and grating the butter!! I love the frozen butter tip! 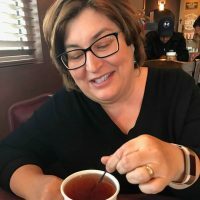 Your scones look perfect and lemon and blueberries is one of my favorite flavor combinations! I have been craving homemade scones! Blueberry is my favorite, too. I can’t wait to try these! The butter tip is genius! Perfect spring flavor profile. 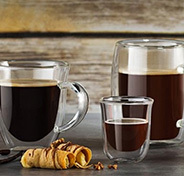 I would love one of these to start my morning off with a smile. too pretty to eat!!!! But I am willing to do it! Haha…I agree and I ate more than one! Thanks Karen! It works every time! Scones are so yummy. The combination of lemon and blueberry in these looks and sounds scrumptious. Your scones look like they turned out so tender, I’d love to have one right now. Your tips are on point too. I’ve never made homemade scones before, but I sure am now after seeing how good yours looks!